Our highly trained staff believe in nurturing the human-animal bond between you and your furry friend. Our in-house radiology equipment enables us to safely and quickly assess the status of injuries or diseases that may be affecting your pet. We are dedicated to providing your pet with the best care possible, thereby ensuring a longer, healthier and happier life. Diagnostic lab work is a vital key in diagnosing your pets' illnesses as they occur as well as detecting early signs of disease with regular health screenings. ​Crawfordville Animal Hospital is located along the coast in the Florida panhandle and holds the reputation of having loyal relationships with clients founded on our knowledge, compassion and service. Our friendly, highly trained doctors and staff look forward to nurturing the human-animal bond between you and your furry family member. We are committed to our own continuing education as well as keeping up-to-date technology in our hospital which allows us to institute the best, most appropriate treatments should your pet be ill or injured. 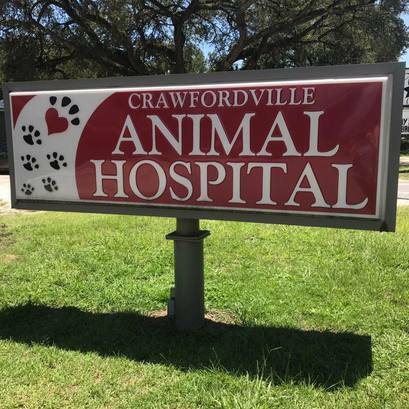 We are dedicated to keeping your pet healthier and happier and have built a team of professionals who continue to thrive in making Crawfordville Animal Hospital one of the best in Crawfordville and the surrounding areas. Whatever your needs may be, we offer a service that will exceed your expectations. Crawfordville Animal Hospital is a full service veterinary hospital. 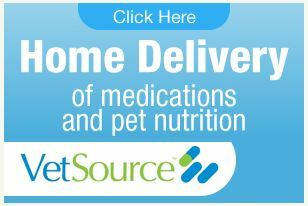 We offer many services that set us apart from other veterinary clinics. These services include: internal medicine, surgery, oncology, dermatology, laboratory services, pharmacy, microchip implantation and limited boarding for both our canine and feline patients. See our Services Page for more details.